A cold, December day. A mystery unfolds. Thirty-nine year old Julie Kroll stumbles away from a minor car accident, leaving behind her eight-year old daughter… and an open container of alcohol. As darkness descends, she disappears. 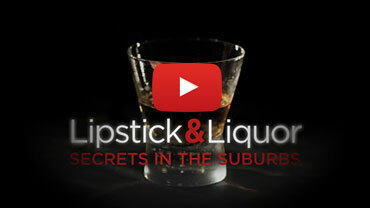 Lipstick & Liquor explores the secret in the suburbs. A growing number of women are abusing alcohol and becoming alcohol dependent. Excessive alcohol use is the third leading cause of preventable death among women between the ages of 35 and 55. It is a contributing factor in one-third of suicides, one-fourth of accidental deaths and one-half of traffic deaths. DUI arrests of women are up 30% from a decade ago, while arrests for men are down. Binge drinking among women is also on the rise. Yet, if you were to ask a woman’s friends and family if she has a drinking problem, they might very well say no. Women are more likely to drink alone and to hide it. Their problem is less likely to be recognized by a doctor and more likely to reach advanced stages before it’s discovered. The documentary begins with the haunting story of Julie Kroll, a 39-year old suburban mother from Woodbridge, Virginia. 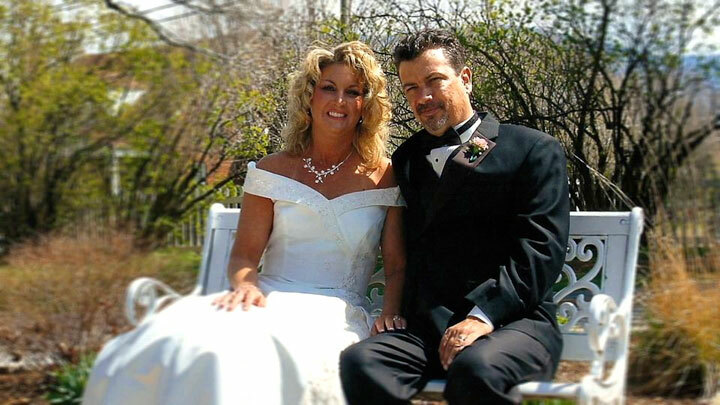 Julie went missing on December 16, 2009 when she stumbled away from a minor car crash in the dead of winter, leaving behind her eight-year-old daughter. An open container of alcohol was in the car. While family and friends searched desperately, a seemingly indifferent police department and a blinding blizzard hampered attempts to find her. As the story develops, Lipstick & Liquor introduces us to four remarkable women who have faced their own battle with alcohol addiction. Each one has an amazing story that will resonate with viewers and, perhaps, touch other women who may recognize themselves in these heartfelt accounts. The hard work of recovery along with the gift of love, can provide inspiration and hope to countless women caught in alcohol’s destructive web. As women take on increasingly more demanding roles, they are feeling greater pressures at work and home. Adding to their burden is the desperate need to be the perfect mother, the perfect wife and daughter, the perfect everything. Lipstick & Liquor seeks to shake off the stigma associated with women alcoholics and to provide understanding and insight into the struggle to stay sober. The documentary includes expert commentary from medical researchers, addiction specialists, and authors who shed light on the conditions impacting the increase in alcoholism among American women. My name is Lori…and I am not an alcoholic. I say this with the deepest humility and gratitude. The truth is, I admit to enjoying a glass of wine with a meal or having a cocktail to celebrate life with family and friends. And, while I definitely did my share of drinking in college, I could never really hold my liquor. After one too many, I was the girl who threw up on her shoes. I didn’t know Julie Kroll. 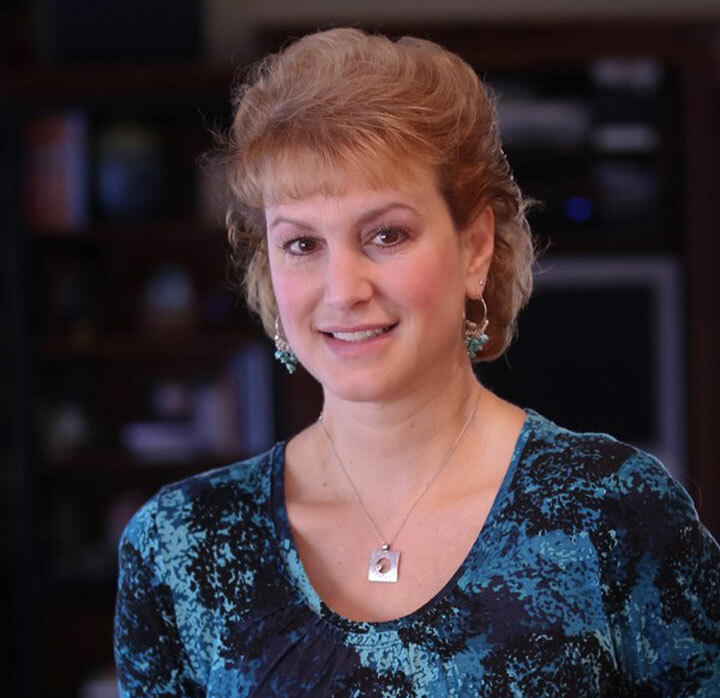 My interest in telling her story, and in raising awareness about alcohol abuse and alcoholism with women, actually began with the story of Diane Schuler. In the summer of 2009, Diane made headlines after killing eight people, including herself, while driving the wrong way on the Taconic Parkway in Westchester County, New York. Toxicology reports revealed she was both drunk and stoned, but her family vehemently denied Diane had a problem. How could someone hide their alcoholism so well that their own family had no idea? In November of that year, I was working on a production project with the Ad Council about Buzzed Driving and read a startling statistic – the number of DUI arrests for women had shot up more than 30 % in the last decade while the rate for men was going down. Binge drinking for women was also on the rise. Something was clearly happening, but I hadn’t yet connected the dots. Without Julie’s story, I would not have embarked on this journey, nor would I have gained the understanding I now have about the disease of alcoholism. Before Lipstick & Liquor, I can truthfully admit, I was one of those who had a tendency to silently judge women who couldn’t control their drinking, especially mothers. How could they endanger their children? Why can’t they stop drinking? Don’t they know better? Now, I know better. Lipstick and Liquor owes everything to Mary, Emily, Hayley, and Jodie for their heartfelt honesty and for their courage in sharing their stories with others. It owes everything to Dr. Anita Gadhia-Smith, Dr. Deidra Roach, Dr. Bernadette Solounias and Hanna Rosin for their profound and meaningful commentary about the role of women and the impact of alcohol in their lives. It owes more than I can ever adequately express to Jerry — Julie’s husband — for the content of his character and for the deep love he has for Julie. 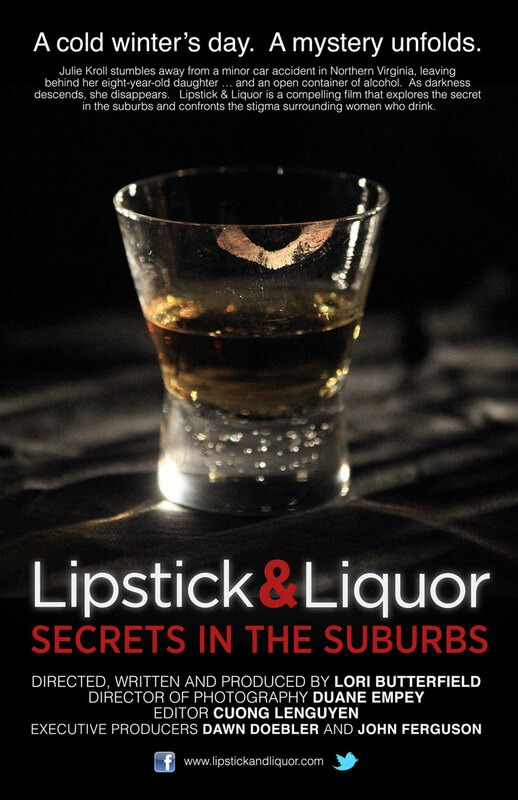 We hope Lipstick & Liquor will inspire a new dialogue between individuals and with society at large so that women everywhere who struggle with alcohol will be inspired to lead a life of recovery and joy. Lori Butterfield is an Emmy Award-winning producer, director and writer whose credits include television programming for National Geographic, Discovery, Animal Planet, Travel Channel and Discovery’s Science Channel. Lori has been working in production for more than twenty years, traveling to 50 countries on six continents. Her work has taken her from the rainforests of Rwanda to the Australian Outback, the Persian Gulf desert to the North Pole bringing engaging, dramatic subjects to life. Lori spent a combined decade working at National Geographic and Discovery Networks producing and overseeing more than 150 hours of television. Previously, she spent four years with Australia’s Seven Network, working in both Sydney and Washington, DC. Lori’s other television credits include the highly successful launch of King World’s nationally syndicated magazine program, American Journal. She began her television career in Atlanta, in the fast-paced news operations of CNN and Headline News. Her numerous awards include a National Emmy© (Racing the Distance 2000), a Conservation Legacy Award at the International Wildlife Film Festival (The Lost Film of Dian Fossey 2004), a Golden Cine Award (The Lost Film of Dian Fossey 2004), two Gold Awards at the Houston International Film Festival (Gorillas on the Edge 2001 and Fantastic Voyage 1999), and a Silver Telly Award (Arctic Flyer 2001). Director of Photography Duane Empey, a veteran cameraman, director of photography and editor has won several peer awards for camera work with experience spanning broadcast and production companies across the globe. 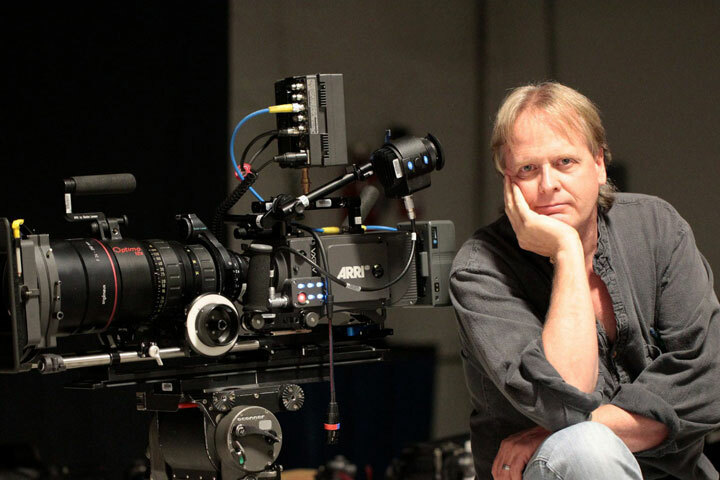 Duane has shot on location in more than 25 countries on five continents. Duane’s company Moving Planet Productions provides production to clients including National Geographic, Discovery Channel, Viacom, CBS, ABC, NBC, CNN, PBS, ESPN, History Channel and Trans World Sport. Corporate clients include Disney, Sony, Dreamworks, Microsoft, Nike, Ford and AOL. Lipstick & Liquor offers a free, Women in Recovery Discussion Guide and Reflective Journal created to facilitate conversation about addictions, alcoholism, and substance abuse with an emphasis on issues specific to women. 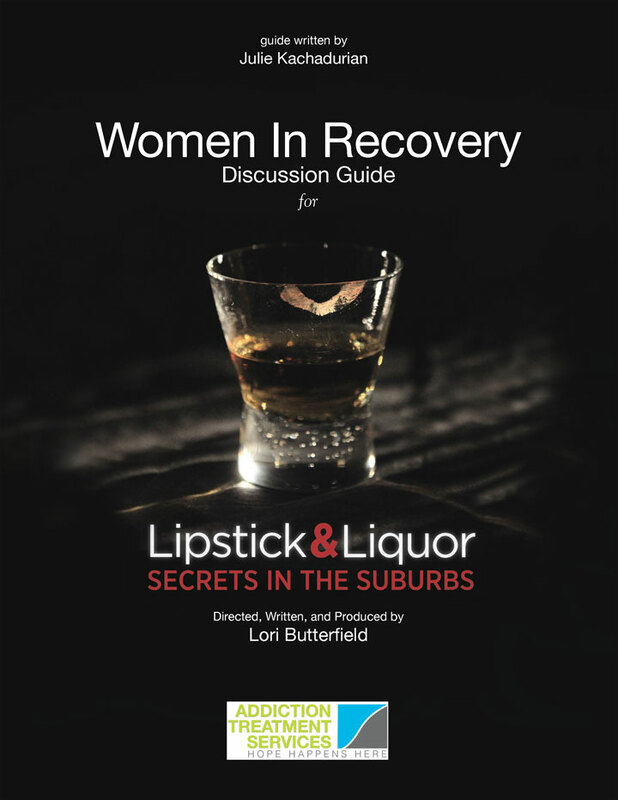 This guide, used as part of a ​screening and group discussion of Lipstick & Liquor, can help clarify the reality and struggles of alcoholism. It offers ways for alcoholics, their families and friends, as well as the community to fully understand addiction and the needs of substance abusers. The Discussion Guide and Reflective Journal was developed and written by Julie Kachadurian, an Outpatient Clinical Manager for Addiction Treatment Services in Traverse City, Michigan. Addiction Treatment Services offers a wide range of community based programs and services for people and families undergoing struggles with addiction. Services include: Residential Programs, Recovery Homes, Outpatient Therapy, Detox, and Drug Testing. Special thanks to Addiction Treatment Centers and the remarkable work they do for recovering alcoholics and addicts.